A person who is not diagnosed with a disease cannot be treated; this is true for many diseases, and is especially of consequence for tuberculosis (TB) patients. Estimates indicate that 50-70% of those with active TB disease would die without the proper treatment . The Millennium Development Goal to halt and reverse the incidence of TB worldwide was met in 2015, as TB incidence has declined 1.5% a year, on average, in the past 15 years . Improved TB diagnostic and treatment strategies have saved an estimated 43 million lives from 2000 to 2014 . Yet, the job of the global TB community is, unfortunately, far from over. An estimated 3.6 million (37%) TB cases remained undiagnosed in 2014, and in African countries alone, this number is 1.4 million (50%) . 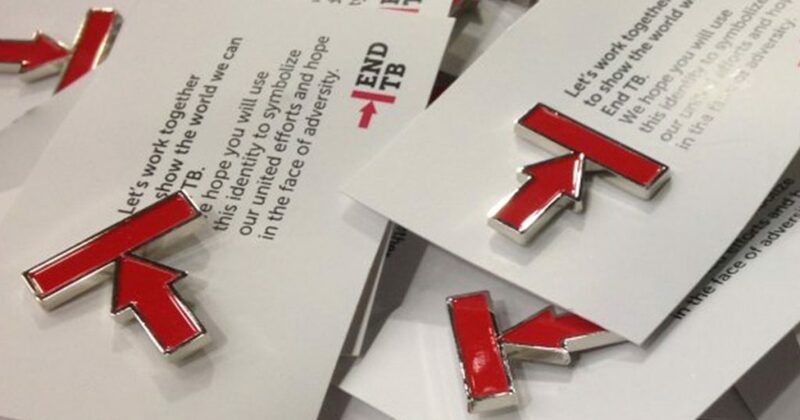 TB now competes with HIV as a leading cause of death from infectious diseases, and often presents as a co-infection with HIV. The rise of multidrug-resistant (MDR) and extensively drug-resistant (XDR) TB also presents a worrying challenge. In Africa 23% of rifampicin-resistant (RR)/MDR TB cases remained undiagnosed or not notified in 2014 . From 2-6 December 2015, the 46th Union World Conference on Lung Health was held in Cape Town with momentous assertions from the WHO End TB Strategy: “Better care and prevention, bolder policies and systems, and bigger investments in research and innovation” . Leaders, including nearly 50 parliamentarians from 30 countries, pledged resolute action to meet the milestone for ending TB. Such plans were laid out in the Stop TB Partnership’s Global Plan to End TB 2016-2020: the Paradigm Shift, a landmark declaration which guides policy makers towards an accelerated path to attain the new TB 90-90-90 targets, which aims to diagnose and treat 90% of those with TB, including 90% of vulnerable groups, and reach 90% treatment success rate . Incorporation of TB recommendations and guidelines into national TB strategic plans, are an essential foundation for the implementation of TB system strengthening practices. A recent report by the STOP TB Partnership and MSF, Out of Step 2015: TB Policies in 24 Countries launched at the Union World Conference, indicates that only 30% of countries surveyed had national policies that include rapid molecular tests for TB detection . It should be noted that while sputum smear microscopy, not molecular testing, is currently the most common way to detect TB throughout the world, it has low sensitivity and provides little information for paediatric or HIV co-infected patients. Updated national TB policies are also important to ensure country success in TB milestones. The laboratory is critical for making early diagnosis which leads to prompt treatment, disrupted transmission, decreased opportunity for the emergence of drug resistant TB, and is central to the 90-90-90 patient-driven TB targets. Molecular-based tests hold advantages over conventional microscopy, a technique that is centuries old; however, instruments can be expensive and not easily deployable at the community healthcare levels. In 2010 WHO endorsed the breakthrough Xpert MTB/RIF assay for TB diagnostic testing on the Cepheid GeneXpert platform. Now, such technology is available at the community level via the new GeneXpert Omni system and Xpert MTB/RIF Ultra test. GeneXpert Omni is a portable molecular diagnostics platform expected to improve access to accurate and rapid diagnosis for TB, HIV, HCV, and Ebola in remote communities with limited infrastructure . Xpert MTB/RIF Ultra is expected to have enhanced sensitivity relative to the current Xpert MTB/RIF assay, which will enable earlier TB diagnosis, particularly for children and HIV co-infected patients . Both are anticipated to be available in 2016. To mitigate the growing problem of MDR, simplified, highly sensitive and specific assays for the detection of drug resistance in decentralised settings are crucially important. In 2014, only 6.4% of newly diagnosed TB cases and 33% of re-treated cases were tested for drug resistance, and only 10 African countries had ≥1 DST laboratory per 5 million population . Ensuring availability of diagnostics in hard to reach locations, to the people who need them the most, is a key priority for new TB diagnostics. “With updated national policies in place and better ability to diagnose hard to reach patients, the 3.6 million TB cases missed yearly could be drastically minimised,” says Dr. Jessica Markby, Senior Technical Advisor of the African Society for Laboratory Medicine (ASLM). For more information about World TB Day, visit the Stop TB Partnership webpage. The African Journal of Laboratory Medicine (AJLM) is currently calling for submissions for a special issue on strengthening tuberculosis diagnostics networks in Africa. The manuscript submission deadline has been extended to 15 May 2016. Visit www.AJLMonline.org to learn more. AJLM is the peer-reviewed, open-access scholarly journal of the African Society for Laboratory Medicine. * Annex 3 (WHO African Region profile) indicates estimated 2.7 million incidence of HIV+TB and 1.34 million total cases notified, indicating 50% undiagnosed. * Annex 3 (WHO African Region profile) indicates an estimated 33,000 MDR- TB cases among notified pulmonary TB cases (22,000 [5,200-38,000] new and 11,000 [6,200-15,000] retreatment). Of those 33,000 cases, 25,531 (77%) were laboratory confirmed RR-/MDR-TB cases, meaning 23% were undiagnosed or not notified. FIND and Cepheid Announce a Strategic Collaboration to Advance TB Point-of-Care Diagnostics. December 2105. Accessed 21 December 2015 from: http://ir.cepheid.com/releasedetail.cfm?ReleaseID=945389.